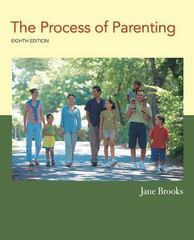 The Process of Parenting 8 Edition The Process of Parenting is a comprehensive introduction to parenting that describes the many ways parents and caregivers can translate their love and concern for children into effective parenting behavior. With a strong emphasis on the developmental process and on the changing nature of parent-children relationships over time, the book presents a wide range of theories and research with a focus on real-life applications. Because parents and children are distinct individuals, a problem-solving approach is emphasized that can help parents arrive at solutions that fit them, their children, and their life circumstances. Two basic tasks of parenting are emphasized as ultimate ends: creating close emotional relationships with children and supporting the development of children's full potential.